Precise dielectric measurement set-up for every microwave/material laboratory allows replacing expensive measurement equipment with low cost very acurate measurement. 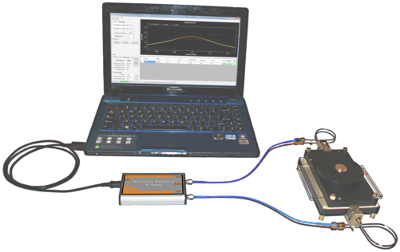 Classically, the most precise measurements with resonators have been performed employing Automatic Network Analysers. 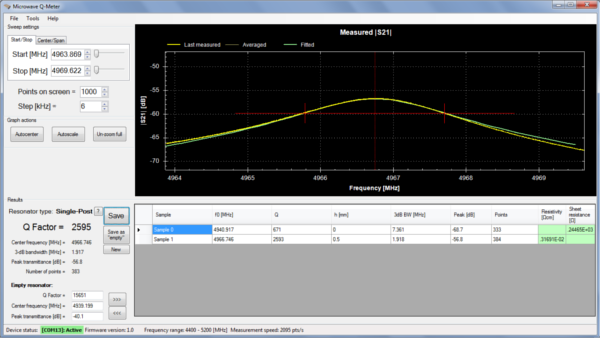 QWED developed an inexpensive computer controlled microwave oscillator system that enables quick and automatic measurements with a dedicated SPDR and SiPDR. 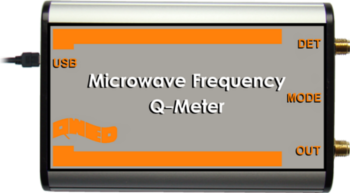 The hardware part of the Q-Meter consists of the PLL-stabilized microwave source with DDS generated reference controlled by fast 32-bit ARM microcontroller. 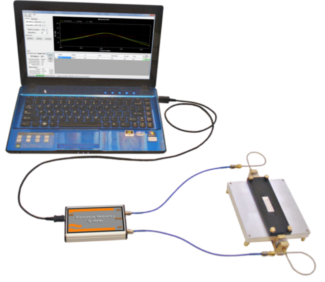 A wideband logarithmic power detector is used to measure the transmitted power level through the resonator. A multipoint resonance curve fitting algorithm will enable the Q-factor to be accurately calculated. The only external information required is the thickness of the sample under test. Great hardware simplicity as well as the use of computer screen for presentation of the results leads to significant cost reduction to start exploration of electromagnetic properties of materials with SPDRs and SiPDRs. Microwave Frequency Q-Meter connected to the SPDR and to the computer. Measurement time: < 10 sec.